Celebrating my blog's 10th anniversary with Paal Alwa! 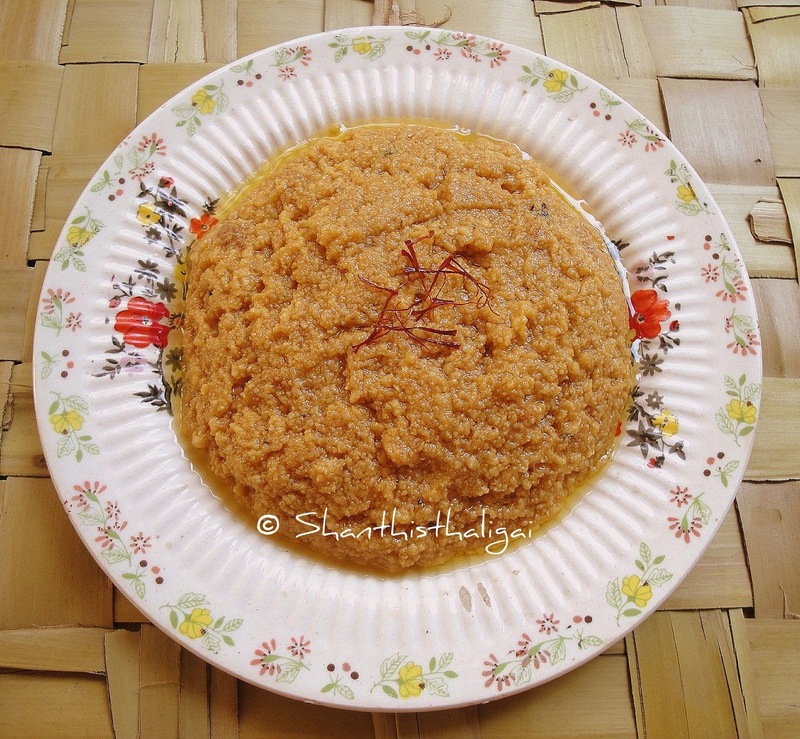 Paal alwa / Milk Halwa is a simple, mouthwatering dessert/halwa. We can make it easily at home with minimum ingredients. Boil milk. Pour milk in a heavy bottomed pan and allow it to boil it reduces to 1/3rd. Stir in between. Now add sugar, stir well. When it thickens again, add curd and stir continuously. The mixture will thicken and become grainy. Adding curd gives the grainy texture for halwa. Stir well, add ghee, cardamom powder, sliced pista. Mix well. When ghee oozes from the sides, switch off the flame. Mix well and transfer to a serving bowl. Garnish with saffron. Congratulations Mam on your 10th blog anniversary. I m a follower of your blog since 4 yrs now . It's really authentic and a handbook for youngsters who stay away from homeland or nuclear . WOW! This is looking so delicious.